The scholar's study was one of the innermost chambers of a Chinese scholar-bureaucrat's residence. 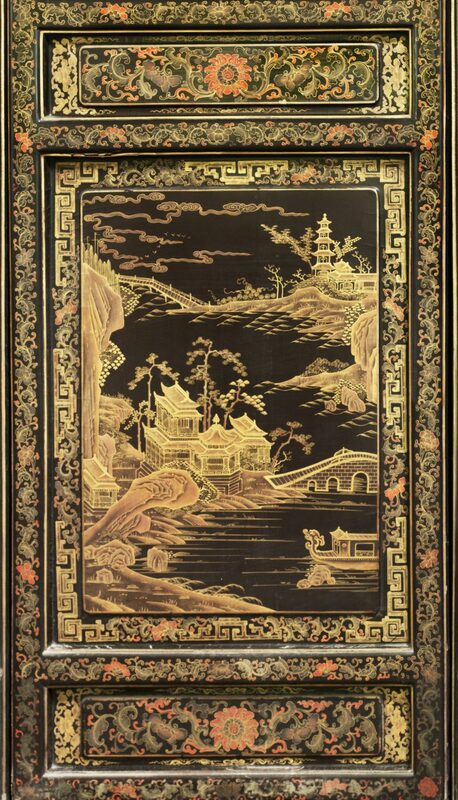 This example was acquired by the Museum in Beijing, where similar interiors may still be seen in the palaces of the former Forbidden City. Designed to be a contemplative setting away from official duties, the two side walls are lined with hinged, lacquered panels, each with silk-covered latticework at the top and delicately painted landscapes at the bottom. The study is furnished in a style typical of the period. The hardwood (huanghuali) seen at the back left is of the "kneehole" type, long popular in China. It offered ample room for storing the scholar's books, brushes, and writing equipment. The long, narrow table at the right front was designed for painting or looking at scrolls. The occupant of the study was most likely a highly ranked mandarin, or civil official, who had passed a series of difficult competitive examinations in the Chinese classics in order to attain his position. He was versed not only in the duties of his office but also in music, poetry, and the arts of calligraphy and painting, and was a connoisseur of art with a keen interest in collecting. 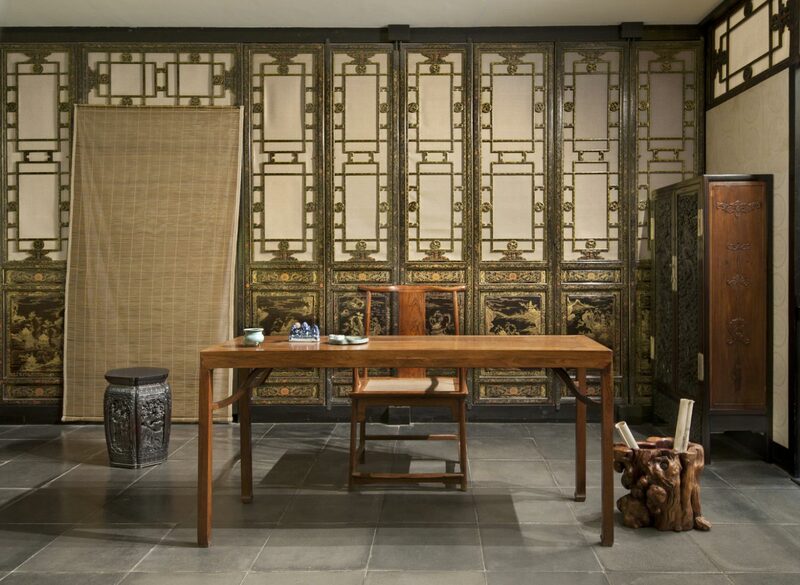 The innermost chamber of the Chinese scholar-bureaucrat's residence was his private study. 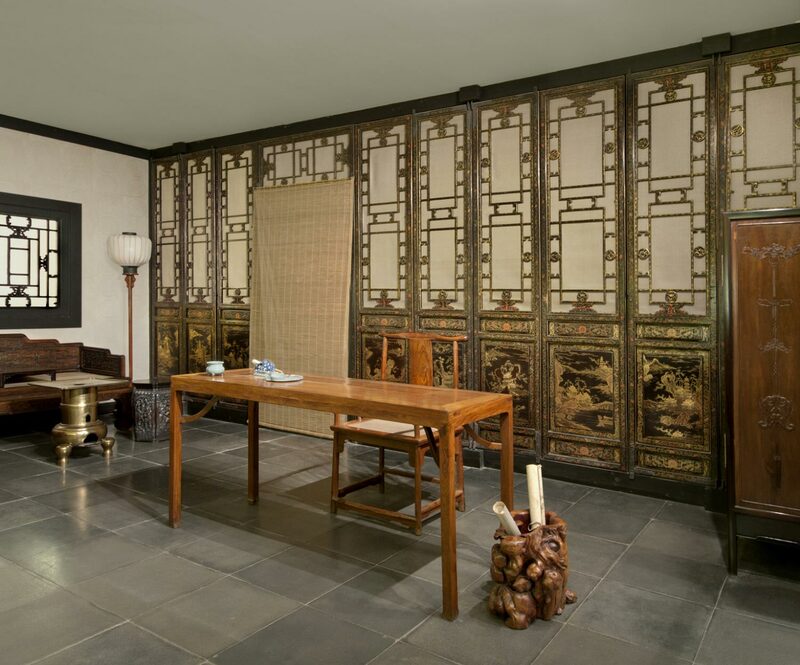 While retaining the symmetrical arrangement of architecture and furnishings found in the formal, public rooms, the study provided an intimate, congenial space away from official duties. 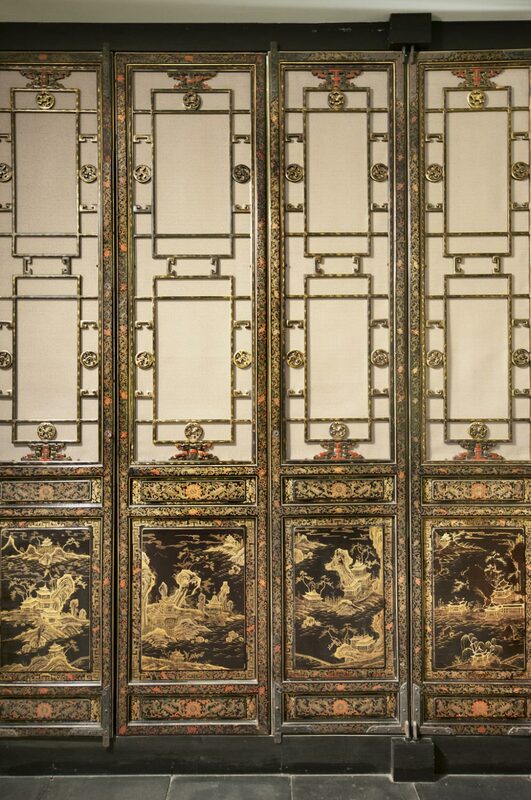 In this late eighteenth-century example from Beijing, two walls are lined with hinged lacquered panels that have silk-covered latticework at the top and delicately painted landscapes at the bottom. The study has been furnished in a style typical of the period. The rosewood desk offered ample room for storing the scholar's books, brushes, and other writing equipment. The brass stove nearby kept hot water ready for tea to share with visitors on the cushioned couch (kang). The long, narrow table was designed for painting or looking at scrolls, some of which are kept in the burl wood holder on the floor. A bird singing in the birdcage hanging on the window wall and the sounds from the garden filtering through the paper-covered windows would have completed the peaceful, contemplative setting. Felice Fischer, from Philadelphia Museum of Art: Handbook of the Collections (1995), p. 35.